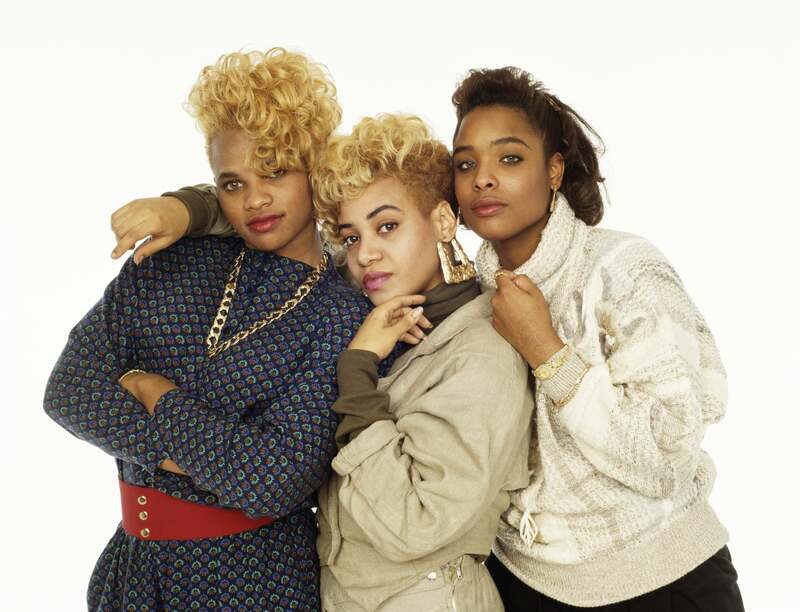 Cheryl James ("Salt") of iconic hip-hop trio Salt-N-Pepa is celebrating a birthday today (March 28). To honor her big day, we're taking a look at the indelible imprint Salt-N-Pepa's style has had on the culture. 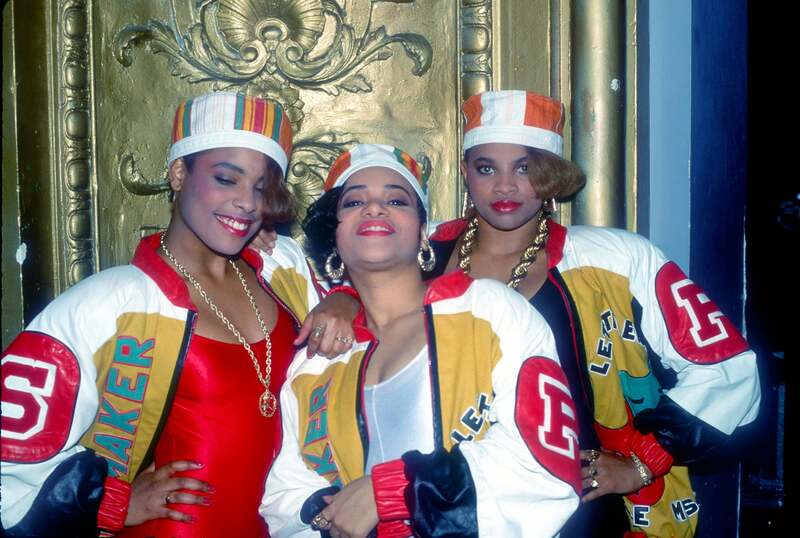 Salt-N-Pepa has gifted us with music that we continue to love and appreciate today, but we can’t talk about the iconic hip-hop group without mentioning their mark on style. When we think of Salt-N-Pepa, the first thing that comes to mind may be the groups iconic “Push It” jackets, but the truth is their impact on fashion is far reaching. Not only did the group push the envelope lyrically in a male-dominated industry, they used style to express their strength and femininity. Through their style, their message was direct and clear, with no confusion about what they were about, what they stood for and who they were. From hard-hitting, “borrowed from the boys” looks to soft and sultry moments that helped to play up pearl-clutching lyrics, they had it all. Pioneers for women who weren’t afraid to be loud and to ultimately be heard, they proved that a love for hip-hop and being a woman was not mutually exclusive. Every aspect of their style is steeped in hip-hop history, including the famous “Push It” jackets designed by Christopher “Play” Martin of Kid ’N Play and created in the one-and-only Dapper Dan’s Harlem studio. Salt-N-Pepa taught us to do, dress and say what we want boldly and unapologetically – and for that we say thank you. 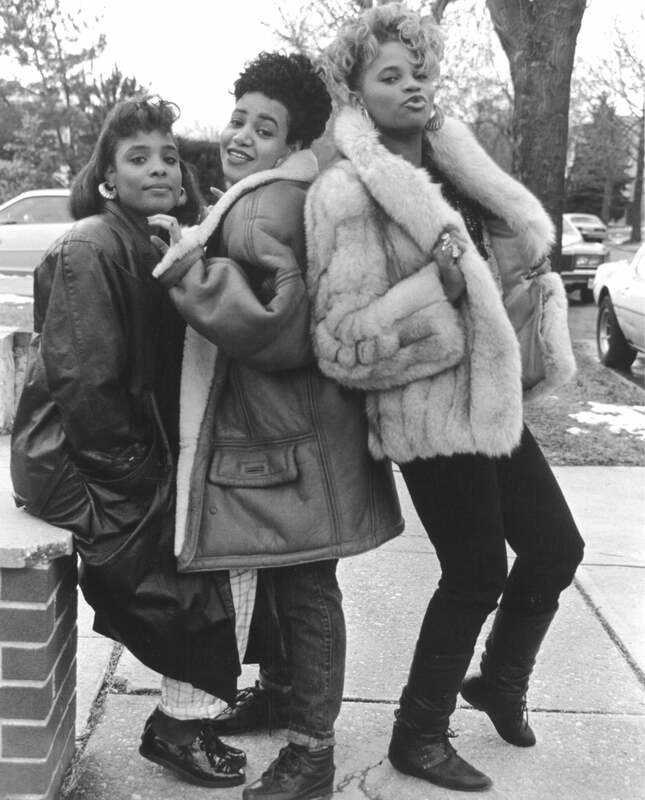 Salt-N-Pepa record on February 6, 1988 in Bayside Queens, New York. 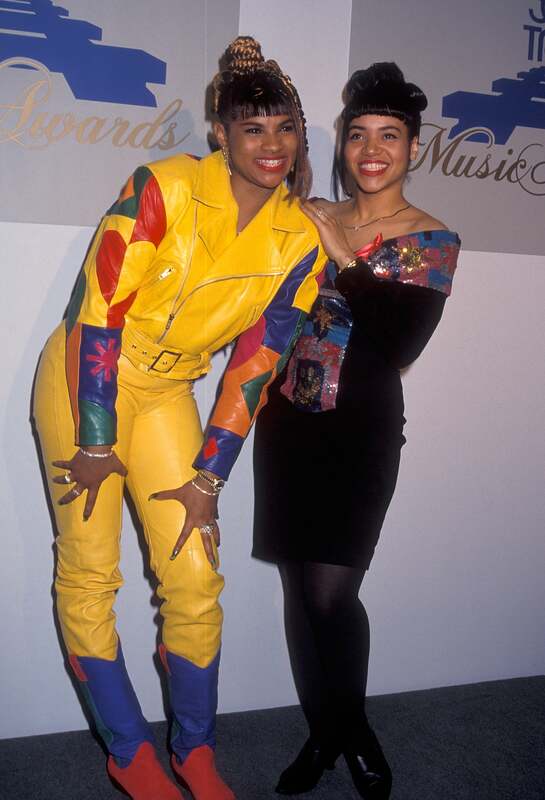 Salt-n-Pepa attend the Sixth Annual Soul Train Music Awards on March 10, 1992 at the Shrine Auditorium in Los Angeles, California. TNT Presents 'A Gift of Song' January 1, 1997 in New York, NY. 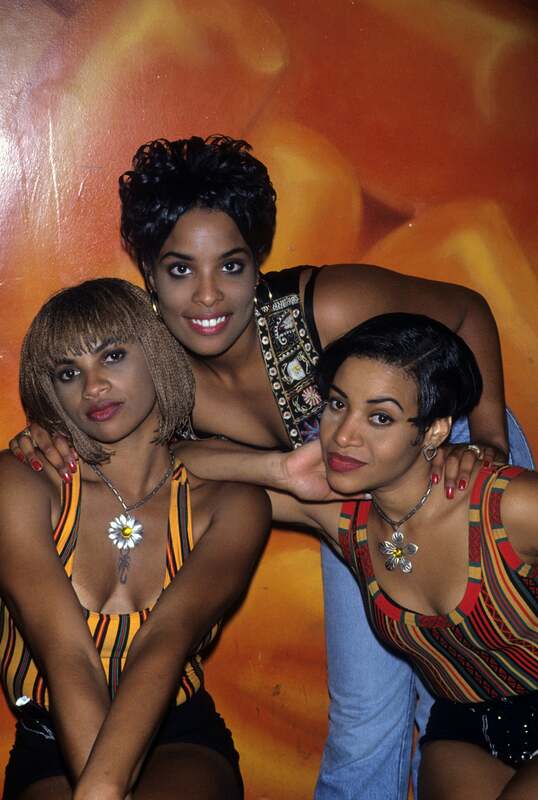 Salt-n-Pepa at a club on October 3, 1993 in Chicago, Illinois. Salt-n-Pepa attend the 37th Annual Grammy Awards Pre-Party on February 28, 1995 at the Hosue of Blues in West Hollywood, California. 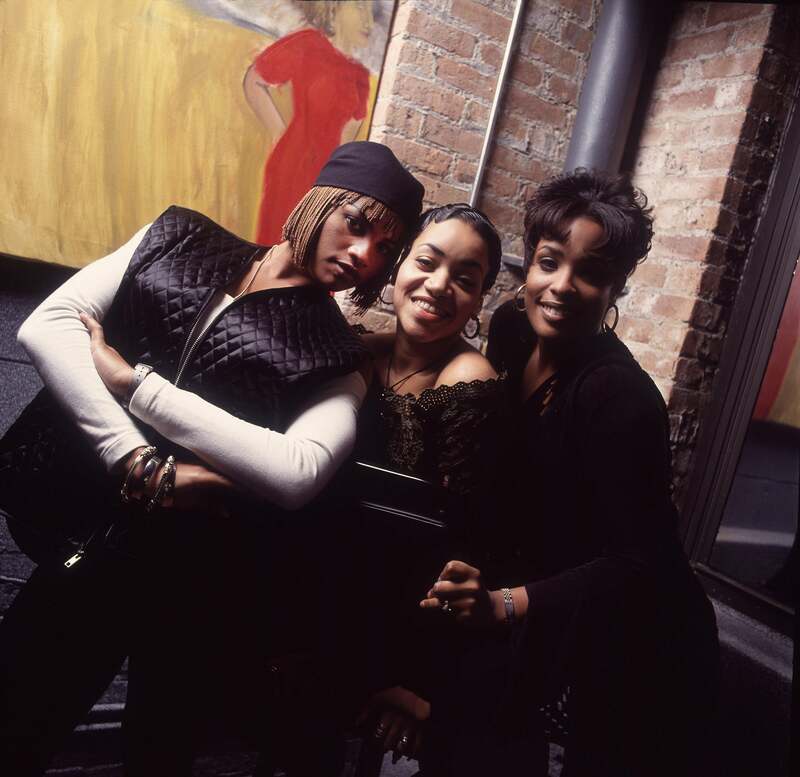 Salt-n-Pepa attend Bobby Brown's 25th Birthday Party on February 4, 1994 at the Tavern on the Green in New York City. 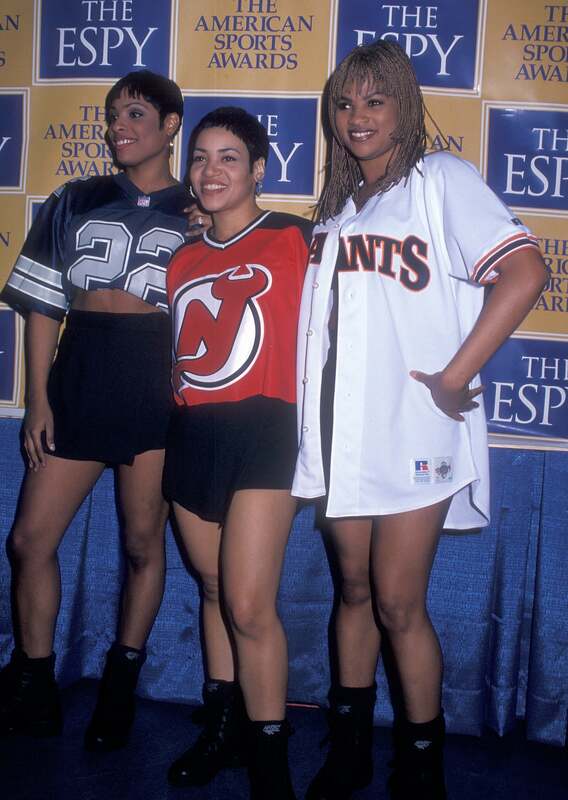 Salt-n-Pepa attend the Second Annual ESPY Awards on February 28, 1994 at the Paramount Theater, Madison Square Garden in New YorK City. 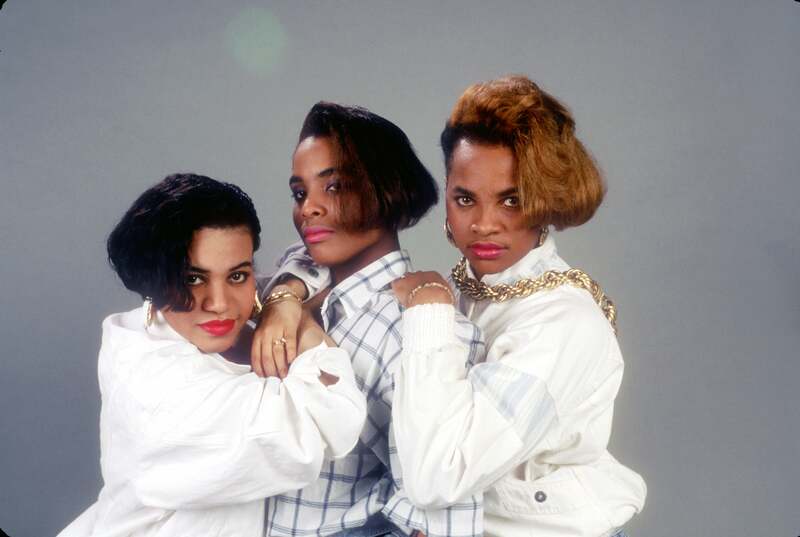 Salt-N-Pepa and DJ Spinderella pose for a portrait in 1988. 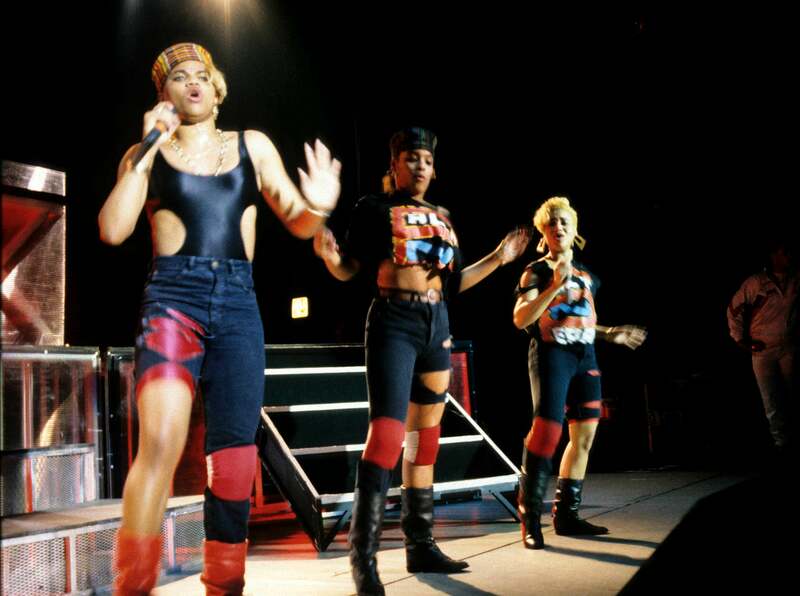 Salt-N-Pepa on stage circa 1987. Salt-n-Pepa attend the 21st Annual American Music Awards on February 7, 1994 at the Shrine Auditorium in Los Angeles, California. Salt-n-Pepa attend the 22nd Annual American Music Awards on January 30, 1995 at the Shrine Auditorium in Los Angeles, California. Salt-N-Pepa video shoot for Schoop at Club USA, New York, August 31, 1993. The trio poses circa 1988. 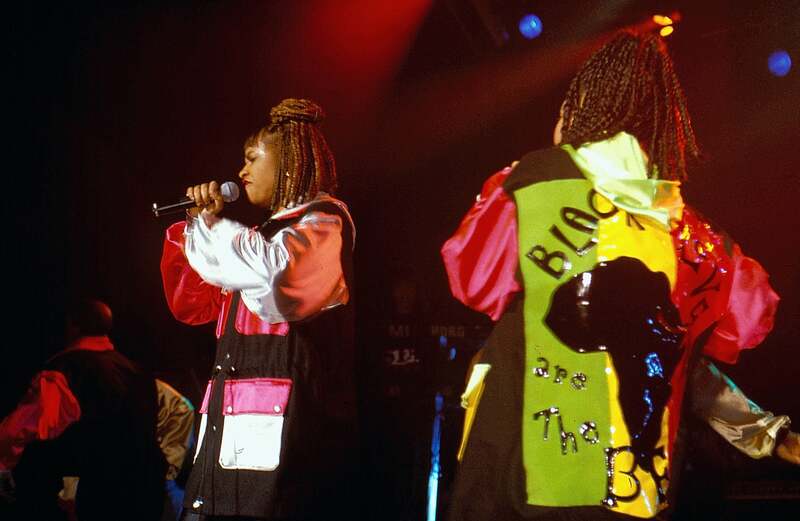 Salt-n-Pepa performing on stage in 1988. Salt-n-Pepa at the World Music Theater on June 29, 1997 in Tinley Park, Illinois. Salt of Salt-N-Pepa performing onstage.